Michael Dunn life sentence: Jordan Davis "loud music" killer given indefinite term. 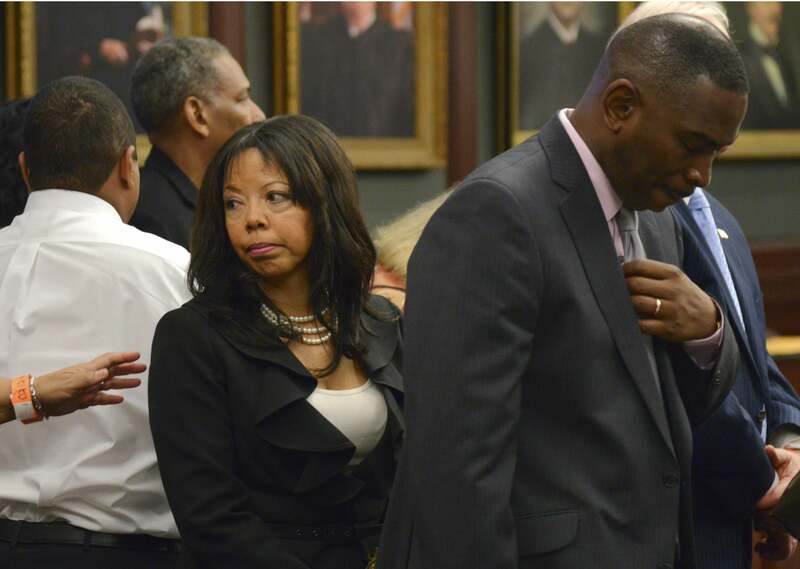 Jordan Davis’ parents in court in February. Michael Dunn—the 47-year-old Florida man who killed teenager Jordan Davis in 2012 at a gas station after they argued over the volume of the music playing in Davis’ car—was sentenced to life in prison today in a Jacksonville court. Dunn and Jordan Davis, 17, had argued at a Gate gas station on the day after Thanksgiving in 2012. Davis and his friends were playing loud rap music in a Dodge Durango. Dunn asked them to turn the music down. Davis cursed at Dunn. Dunn shot Davis three times and continued firing seven more times as the SUV drove away. Dunn claimed Davis had a gun, but none was ever recovered, and no witnesses reported seeing one. Davis’ parents did not want Dunn to be executed, and prosecutors did not seek the death penalty. Dunn was initially convicted only of second-degree murder when his jury could not reach a verdict on first-degree charges, but he was convicted of first-degree murder (for which he was sentenced today) at a retrial. In February, Slate’s Dahlia Lithwick wrote about Davis’ death and Florida’s controversial “stand your ground” law. * The law’s controversy may have influenced some of the jurors who didn’t vote to convict Dunn of first-degree murder in his first trial. *Correction, Oct. 17, 2014: This post originally misspelled Dahlia Lithwick’s last name. Correction, Oct. 20, 2014: This post’s headline originally misstated Dunn’s sentence—he is sentenced to life in prison, not the death penalty.